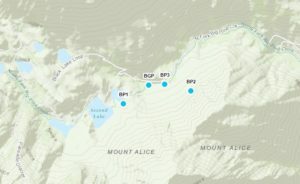 Ever wonder how deep the snow is on the trail to this area? 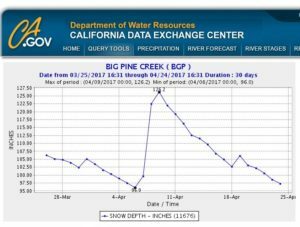 Big Pine Creek’s (BGP) snow monitoring station is on the trail just before First Lake (where the creek diverts to the south). 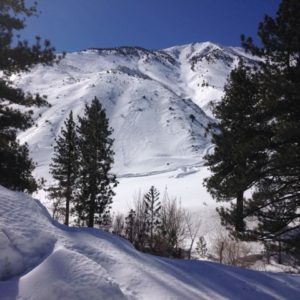 Reported depth is 8 feet as of April 24…down from 10 feet just two weeks ago! You can see the California State monitoring graph and map…photo thanks to G. Stewart. With that kind of snow accumulation, little wonder this area was carved by glaciers…and still has the largest southern-most glacier in the USA. 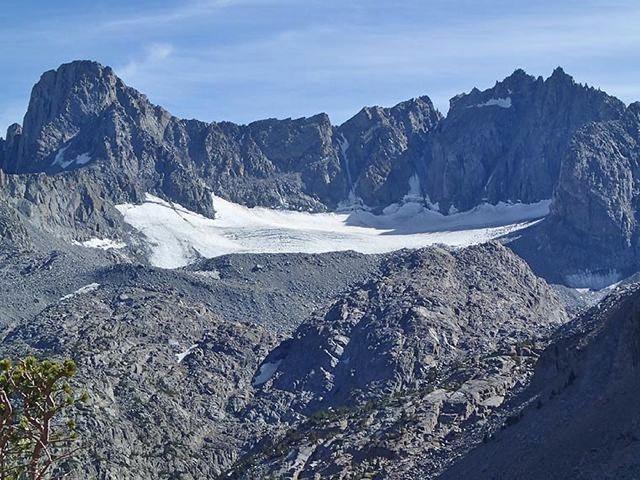 Summer is coming, snow will melt, and again we will trek to this Jewel of the Sierras!